I was visiting my brother and sister-in-law while making this one and my sister-in-law fell in love with it, thus it became my niece's quilt. 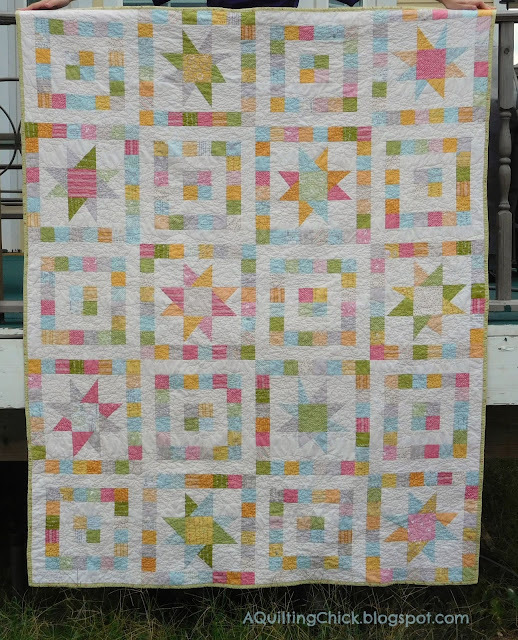 And here's one more of the full quilt. I think that I'm going to make this one again. It was a lot of fun to make and the results are well worth it! 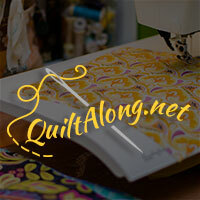 Today I'll be linking up with Crazy Mom Quilts for Finish It Friday, with Fabric Frenzy at Ft. Worth Fabric Studio, and for Can I Get A Whoop Whoop at Confessions of a Fabric Addict. On Monday with Patchwork Times for Design Wall Monday. What a soft and beautiful quilt! Perfect for a little girl. Love the design and fabrics. Such a beauty! Love the pattern and the softness of this one! This looks so sunggly. Love the pattern and the fabric. Nice work! 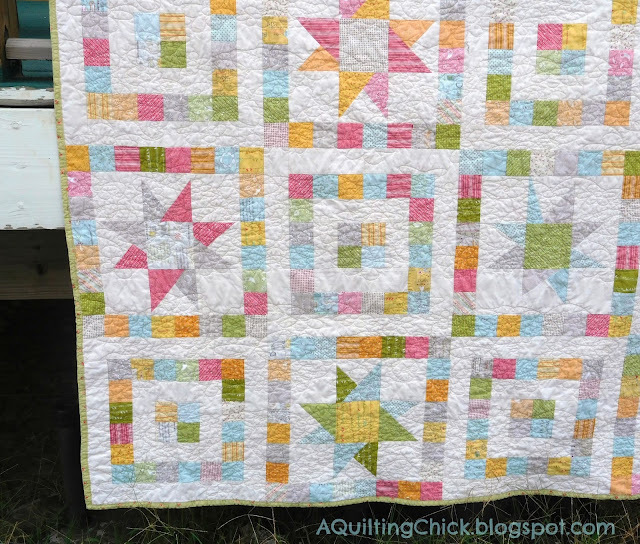 It looks like such a cuddily quilt, a perfect gift for your niece! Lovely quilt. I haven't made stars like this for years so lovely to see them again and to remind me to make one 'someday'! Oh your quilt is gorgeous and the fabrics are so soft and comforting. What a lovely finish! So very pretty! I love the colors that you chose. They work perfectly with the pattern. Nice work! I love the design and those really are the perfect colors for it. Congratulations on a finish. I think I would have a hard time giving it away! I love stars. Very nice quilt. 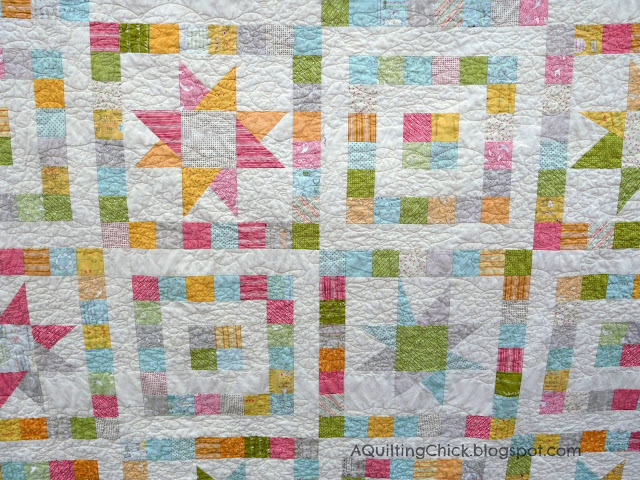 I love the scrappy borders on the blocks. Thanks for sharing. Love that setting with the alternating plain blocks and squares. And the colors look good too. 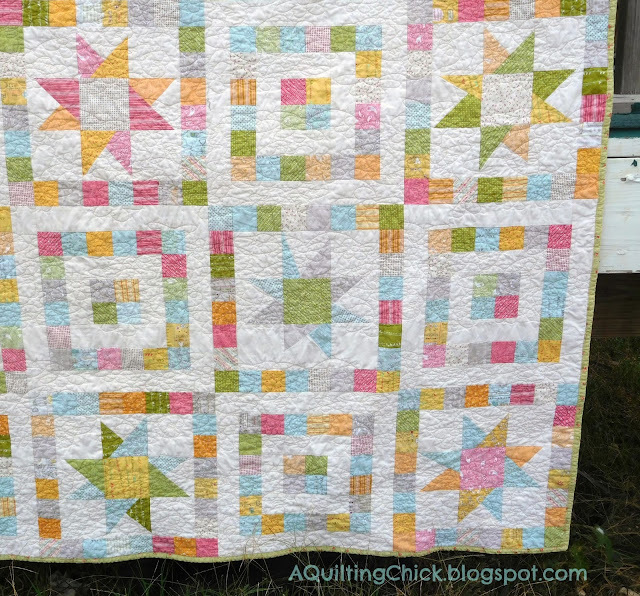 The pattern and range go so well together, great quilt! So soft and pretty and fun Cathy! You definitely get a whoop whoop! Your niece must be very excited about the quilt. What a sweet quilt! I really enjoy it when two different blocks are combined to give a new effect. And you're right...these fabrics are perfect for the pattern. Beautifully done. Love the colors in that fabric line, bright and fun. It's always such a good feeling when you find just the right fabrics for a pattern on your to do list. I'm currently making this pattern and I was wondering if you squared up your final blocks? I am fairly new to quilting so my blocks are not perfect and it seems like they will need to be squared up but the pattern doesn't address this.